One of the greatest annual sporting events is almost upon us. The NCAA men’s basketball tournament – better known as March Madness – provides a month’s worth of entertaining court action. It also provides a chance to travel and watch games in cities around the country as the tournament advances from 68 teams down to an eventual national champion. Many fans take to the road to enjoy the games. That includes cannabis users, of course. But if you’re coming from, say, California, you might want to have an idea of what the local marijuana laws are before making your plans, especially those who use medical marijuana prescribed by a doctor. No matter where you go in the United States, using cannabis in public is not legal. Places such as Denver and the state of Massachusetts are investigating the idea of licensing public establishments where people can use marijuana, but that hasn’t happened yet. Many hotel chains also still ban marijuana use. So, when you travel, it’s often wise to go through services such as Airbnb and finding someone who is “420 friendly” to stay with. A private home is really your only choice in most areas. For the below cities, information on penalties and jail time was used from NORML (National Organization for the Reform of Marijuana Laws). Held March 13-14, these are the first games of the March Madness tournament. Ohio allows use of medical marijuana, but only for certain conditions. Also, they do not offer reciprocity as part of their law – meaning they don’t accept out of state medical marijuana cards at dispensaries. These two rounds run from March 15-18 in eight different cities. Pennsylvania allows medical marijuana for these conditions. State law does allow for out-of-state residents to fill a marijuana prescription, but only for those who are parents or guardians of a minor and the cannabis is allowed for the minor by prescription from a doctor. Kansas does not allow any kind of marijuana and getting caught with possession of any amount can lead to six months in jail and a $1,000 fine. Texas, the second biggest state in the union, does not allow marijuana of any kind. Possession of less than two ounces could land you in jail for up to 180 days and cost a maximum fine of $2,000. More than four ounces can get you a two-year jail sentence and a $10,000 fine. Idaho doesn’t allow any type of marijuana. Possession of three ounces or less can result in a one-year prison sentence and a $1,000 fine. North Carolina does not allow marijuana of any kind, although penalties are less severe than the above states. There’s no jail time if you are caught with a half-ounce or less, but there is a $200 fine. Michigan allows medical marijuana for these conditions. The state will allow those from out of state to buy medical marijuana if their home state also has reciprocity. Tennessee does not allow marijuana of any kind, and the penalties are relatively severe. Possession of less than a half ounce of marijuana can get you a maximum jail sentence of one year as well as a mandatory $250 fine. California allows for both recreational and medical marijuana. All the usual rules apply – you must buy from a licensed dispensary and you must not use marijuana in public places. San Diego has issued more than a dozen licenses for dispensaries around the city. The state does not have reciprocity in its medical marijuana program. Four cities will host the regional matchups from March 22-25. Nebraska does not allow marijuana of any kind. However, they have cut down penalties. For example, a first offense possession of less than an ounce will result in no jail time and a $300 penalty. Same situation as San Diego. 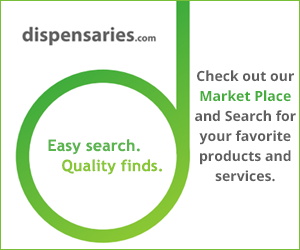 There are dispensaries in the Los Angeles area, but not as many as you might think. Georgia doesn’t allow marijuana of any kind. The penalties can be severe. Possession of less than an ounce of marijuana can result in a one-year jail sentence and a $1,000 fine. Massachusetts allows medical marijuana for certain conditions, but there is no reciprocity in the state’s law. Also, while recreational marijuana sales are expected to begin this year, it won’t happen until summer at the earliest. The Final Four will be held in San Antonio, Texas, on March 31 and April 2. The same rules apply here as in Dallas – there’s no marijuana of any kind allowed in the Lone Star State. That’s a rundown of the laws in the different March Madness cities. Make your travel plans accordingly. ← Can You Have A Pot Allergy?